Learn a little bit about us. Let's see if we are a fit for each other. We are Greg and Lesa Zonsius and have owned and operated ZonCom Productions for over 20 years. 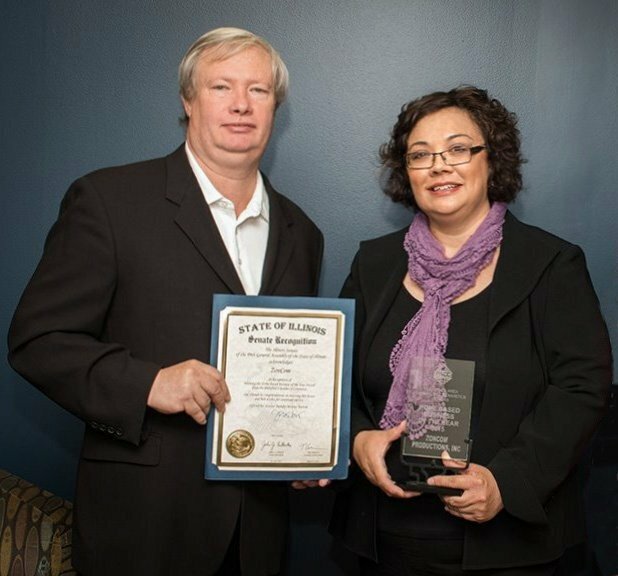 Our attention to detail and our commitment to our clients has gained us the “Best Home Based Business of the Year” award from the local Chamber of Commerce in 2016. ZonCom started out as a multi-media company offering services to include photography, aerial images, video production, DJ and photo booth entertainment. With the variety of skills and the years of experience of the day to day operations, we have a lot of value to bring to our clients. Individually our skills include technical knowledge, website design, administrative operations and customer service which brings even more value to our clients. We have modified our business to work behind the scenes to help other entrepreneurs with their day to day operation. We know how hard it is to wear many hats and not have the time to focus on what you do best! If you need to free up some time to grow your business or for family hire us to help you out. No long term contracts. No hidden fees. Pay a flat and affordable rate each month. We look forward to knowing you and helping you succeed!